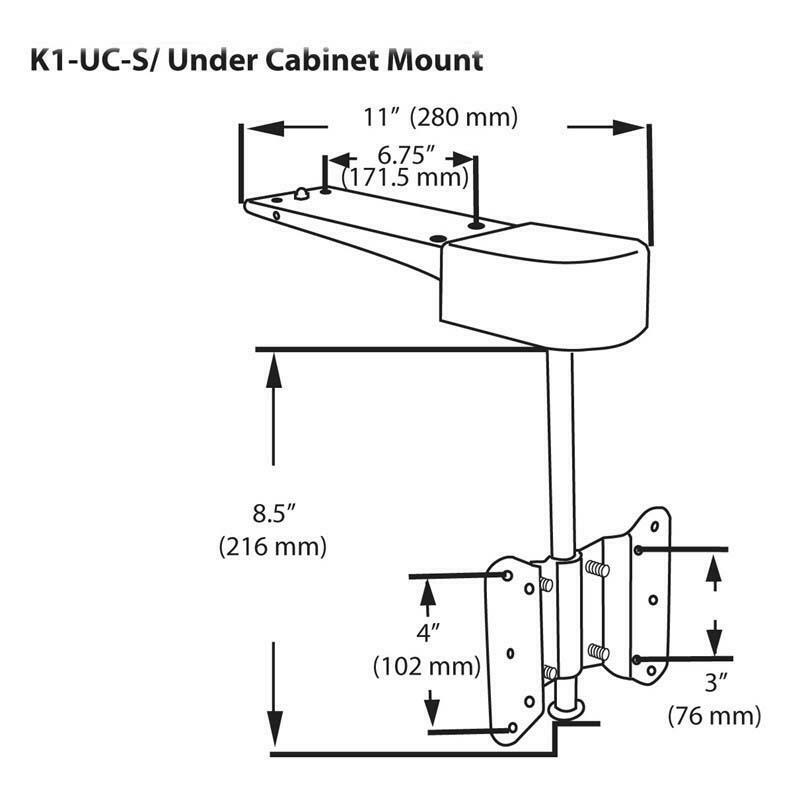 Get your new flat screen TV up and out of the way with the K1-UC-S Under Cabinet Mount. Install your 13 to 17 inch display under a kitchen cabinet or any other solid flat surface to free up precious counter space below. With a 90-degree left-to-right swivel and 8.5-inch drop down post, this mount offers the greatest mounting flexibility. Its universal fit design will work with most flat panel HDTVs. Easy installation with all necessary hardware included. A low profile design to mimimize mount visibility. 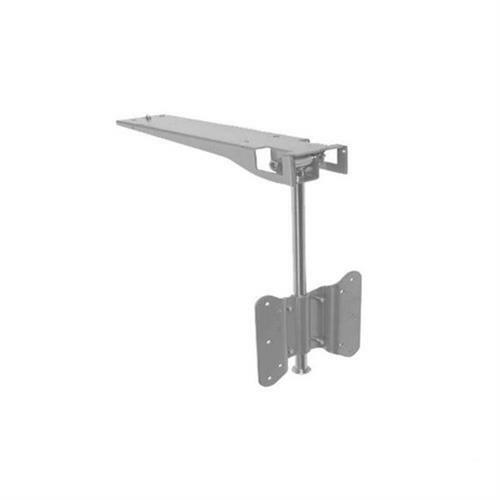 Under-cabinet mounting bracket for space-saving kitchen installation. VESA compatibility and UL safety certified.